Welcome to FibromyalgiaXCaroMD.com - a website for those who already know pain, but want to beat that pain! See that you are not alone and that our office understands fibromyalgia. See that there is a way for you to understand fibromyalgia too. Explain to your family and friends why you have so many different problems; not just pain. Understand how you can begin to fight against fibromyalgia with real hope. Understand why some physicians do not accept or understand fibromyalgia. Find links to other sites that may help you in your fight against fibromyalgia. Diagnosis yourself, or begin treatment on your own. Find a “cure” for sale. Convince any Doubting Thomas – against their will – that your problem is real. Lead your Doctor to an answer. He will have to want to find that for himself! Now let’s begin a journey together. All you have to do is to contact us. It costs nothing but your time. Good luck! If you are not a first time visitor at our website you may want to explore one of our other pages (listed on the top of this Home Page) for more information about Dr. Caro's research, our office, and our other services. What Types of Patients and Insurance Does Dr. Caro's Office Accept? "I want all of you to know that I will always try to help you to see Dr. Caro regardless of your insurance or non-insurance. I want you to be comfortable in Dr. Caro's office! Give me a chance to work with you and your budget." Please keep in mind that Dr. Caro commonly spends 1 to 1 ½ hours with his New Patients (be sure to schedule yourself accordingly). He will usually spend 45 minutes to 1 hour with you on your second visit. Thereafter, he will usually spend ½ hour unless your case calls for more time. Dr. Caro’s office is open to patients of all races, ethnicities, and religious affiliations. Dr. Caro prides himself on his English language communication skills. 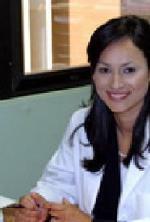 Although born in the United States, Dr. Caro also speaks fluent Spanish. He has several Staff members who also speak Spanish, and one staff member who is fluent in Armenian. As the Office Manager I understand how hard it is to be ill and to have to deal with insurance issues at the same time! I will always try to help you to see Dr. Caro regardless of your insurance. I am very willing to discuss insurance issues with any prospective new patient or an established patient with special problems or needs. Laura, my assistant and our billing specialist, may also be able to help you with brief or simpler questions regarding billing or insurance issues. Regular Private (Indemnity) Insurance: Dr. Caro does not contract with any regular insurance companies (for example, Blue Cross or Blue Shield). He does not, for example, accept payment from such companies as payment in full for his services. Nevertheless, many of our patients use their private insurance to help pay their visits to Dr. Caro. This is because our office will commonly help you by billing your private insurance for you. Anything the insurance pays toward your care reduces your cost substantially. The remainder of the cost, however, remains your responsibility. If you have particular problems with your remaining co-payment or deductible, please, don’t let that become a problem. Bring the situation to my attention as soon as possible. Medicare Insurance: Our office accepts Medicare assignment. This means that our office accepts the current Medicare fee schedule, but a co-pay, and yearly deductible, remain your responsibility. Some of our Medicare Insurance patients, who do not have any supplemental insurance, and can show financial need, are able to get extra financial support from Private Funding Agencies These agencies help such patients with the cost of intravenous treatment drugs (but not the cost of routine visits). Our office will gladly help you with this application if necessary. Supplemental Insurance: The Office accepts many forms of supplemental insurance (except Medical/Medicaid). You will need to discuss your specific supplemental insurance with the Dr. Caro’s Staff prior to your Consultation. Cash Patients: A number of patients attend our office without any specific insurance support whatsoever. We will usually try to work with those patients and may be able to help in special circumstances. Please contact me or ask the Receptionist to have me call you at your convenience. Medi-Cal/ Medicaid: Our office does not accept these State Aid Insurances. If you have Medicare and Medi-Cal (so called, Medi/Medi) you may want to inquire as to the cost of seeing Dr. Caro without using your State Medi-Cal. It may not be as expensive you think. This may be especially true when you consider how much time and suffering you will end up wasting trying, in vain, to get relief elsewhere. Furthermore, some patients who do not have any supplemental insurance (for example, can not use their Medi-Cal Insurance in the office) are able to get extra financial support from Private Funding Agencies. These agencies help such patients with the cost of intravenous treatment drugs (but not the cost of routine visits). Our office will gladly help you with this application if necessary. California Worker’s Compensation Insurance: Our office may become involved in Worker’s Compensation on a case-by-case basis. We always require a Physician referral. HMO Insurance: Although Dr. Caro does not participate in any Health Maintenance Organizations (HMO) plans whatsoever. He does, however, see patients from HMOs as an out of network consultant on a fee-for-service basis. There may be times that an HMO patient may want to see Dr. Caro in order to get his opinion about treatment they are getting at the HMO. Dr. Caro may be able to influence your HMO care by addressing a letter to the HMO on your behalf (such letters are at an extra charge, however). Dr. Caro uses a number of specialized laboratories to conduct the delicate immunologic testing he feels is necessary for the testing of his fibromyalgia patients. These are all outstanding laboratories that Dr. Caro trusts (one is even in New York). Unfortunately, Dr. Caro can’t guarantee that the laboratories he uses will accept your insurance (although, many do, and many even accept your insurance as payment in full). Be sure to tell the Staff if you think your insurance may be restricted in the laboratories that you may use.